Electronic point of sale equipment makes it simple to operate a cash drawer. Every transaction made on the POS cash register equipment is recorded. Sales can be tracked in real time using electronic POS equipment. Real time sales tracking is beneficial in handling accounting, merchandise returns, voids, inventory control, processing credit cards and gift cards, check processing and more. Features such as touch screen menus and online price lists can help keep transactions fast and accurate. Also, the POS software can help ensure that sales and promotions are given to the customer at time of purchase. Everything done on electronic point of sale equipment is tracked. This is a great benefit for record keeping. Not only does it save a large amount of paper, but it also can save time and money. 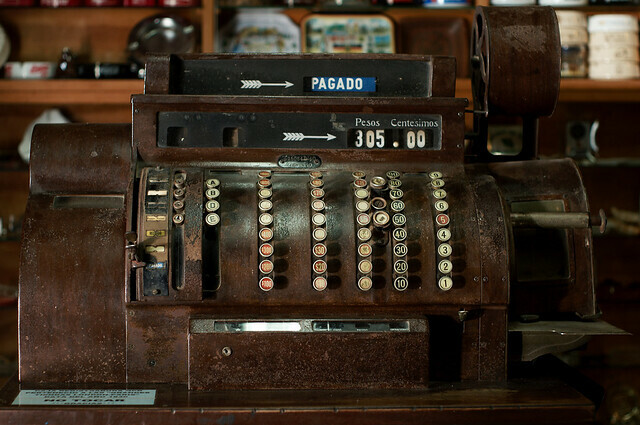 Some of the records kept by a POS system include inventory, customer accounts, sales transactions, restaurant orders, and current sales and pricing. With a manual cash register, these tasks would need to be handled individually and would require many more steps and manpower to complete. Accurate record keeping is also more easily attained with all the data and facts being stored in real time. For companies with more than one system or location, the ability to link multiple systems through the Internet and software is a big plus when it comes to keeping records. Point of sale equipment can help with many safety and loss prevention issues. Because the system can only be operated using a registered ID and password, only certain people can open the cash drawer. This ensures that only the right people are in contact with the money. It also is tracked by transaction, as well as by registered user. This keeps the money safe and helps pinpoint where any money loss may have occurred and who may have processed the faulty transaction. Loss prevention can also be curtailed by the inventory tracking feature.